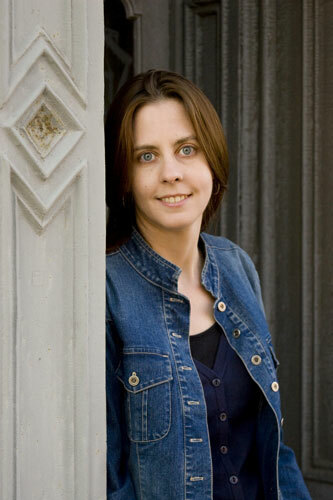 Meredith Cole started her career as a screenwriter and filmmaker. She was the winner of the St. Martin’s Press/Malice Domestic competition, and her book POSED FOR MURDER, was published by St. Martin’s Minotaur in 2009. She was nominated for an Agatha Award for Best First Mystery Novel in 2010. Her second book, DEAD IN THE WATER, came out May 11, 2010, and continues the adventures of Lydia McKenzie. 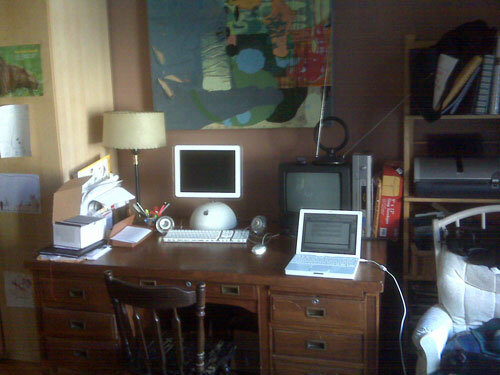 She teaches mystery writing and screenwriting and lives in Virginia. Some people have trouble placing my accent when they meet me, so they ask me where I’m from. It’s a complicated answer. I explain that I was raised in Central Virginia, my father is English, my mother’s family is from the Mid-West, my mother was raised in Northern Virginia and I lived in New York for ten years. Now that I’m back in Virginia again, I find myself starting to slide back into a southern accent. It’s not very heavy, just a touch here and there. But my six-year-old son is mystified by the accent. “Everyone here says ‘y’all’,” he complains to me after a day at kindergarten. I tell him what it means, secretly happy that he is hearing an accent that I find so pleasing. Don’t get me wrong, there are unpleasant southern accents and lovely ones, but I never did warm to the accents in New England and New York. They just didn’t sound like home to me. What does it really mean to be from somewhere? I have a neighbor who has lived here 20 years, moving in around the time that I left town. But I grew up here and have family living here. I feel connected to the ground, the red clay and curving hills. So am I more of a local than she is? When I lived somewhere else and visited, I always felt a little different. I walked faster then the other pedestrians. I was sometimes impatient during the small talk. Now that I’ve taken the plunge and moved back, I’ve mostly slowed myself down so the speed of living here feels just right. fervent love that I never felt. I wanted to. 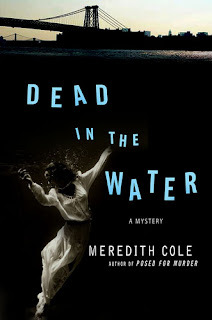 There are so many things there that I enjoy, and I am eagerly anticipating a trip back to see friends and celebrate the launch of my second book DEAD IN THE WATER on May 26th at Partners & Crime. I navigated the subway and bus system like a pro, walked fast, was impatient at any delay, worked in TV where everything had to be done yesterday, and made many good friends there. The next book that I’m writing in the Lydia McKenzie series is set there, and I think of our old neighborhood often. I wish I could be in two places at once, and perhaps I am with my writing. Our life is quite different now that we’ve left the city. The house has more square footage than our apartment, actual green space, and requires more stuff. All of it seems to mean more work. My husband has planted a wonderful vegetable garden. My son exclaims over the height of our peas, making me believe he might actually eat them someday, and is raising baby preying mantises. 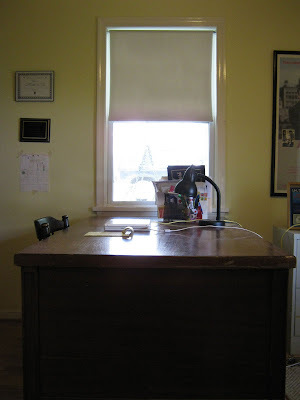 I have my own office with a door and a view of trees, our porch swing, the road, and the neighbors from my two windows. I used to see the tall buildings of Manhattan in the distance. Now I have the Blue Ridge Mountains surrounding me. There is no more beautiful sight to me than those mountains jutting up in the distance, gentle baby blue curves on the horizon. Seeing them makes me relax and smile every time. I feel like I’m home. Meredith, I bought your new one from its prominent, up front location at Partners & Crime! Can't wait to read it. I am wondering if I should start with the first one though? Glad you've found your home, and such success too! Thanks Jenny! Both Posed for Murder and Dead in the Water can be read as stand alone books (I don't give anything away). But as a reader I always like reading books in order and see the characters develop. I'm having my launch party at Partners & Crime on Wednesday night, so it's great to hear the books are there. There's a lot to be said for living at the right speed, especially when you feel you're doing it in the right place. Congratulations on the launch of your second book! That's so true, Jenny S. I'm having fun visiting NYC right now, although I have to admit I've become unaccustomed to squeezing onto trains with lots of strangers. It just doesn't feel normal anymore. Looking forward to seeing you Wednesday, Liz! I remember when they were teaching my now-8 year old to use phonetic spelling at school. It was *hilarious*! Southerners + phonetic spelling = a mess. But I do think the accent is nice. :) Good luck with "Dead in the Water" and congratulations! Thanks for coming by Elizabeth! It was so delightful to meet you at Malice. Meredith - thanks for coming by! Have fun at your launch tonight; I'll be thinking of you!